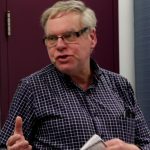 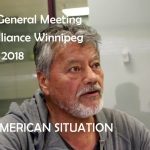 At the 2018 AGM of Peace Alliance Winnipeg, German Arbuto, of the Venezuela Peace Committee, provided an overview of the changing political situation in several Latin American countries. 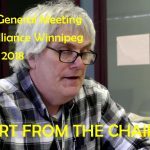 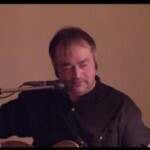 On April 9, 2014, Glenn Michalchuk, chair of Peace Alliance Winnipeg, was recognized for his decades of activism in the peace movement. 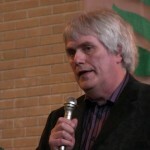 At the annual Project Peacemakers Eco-Justice Fundraising Dinner, Bev Ridd presented Glenn with the Joan Melanson Award.